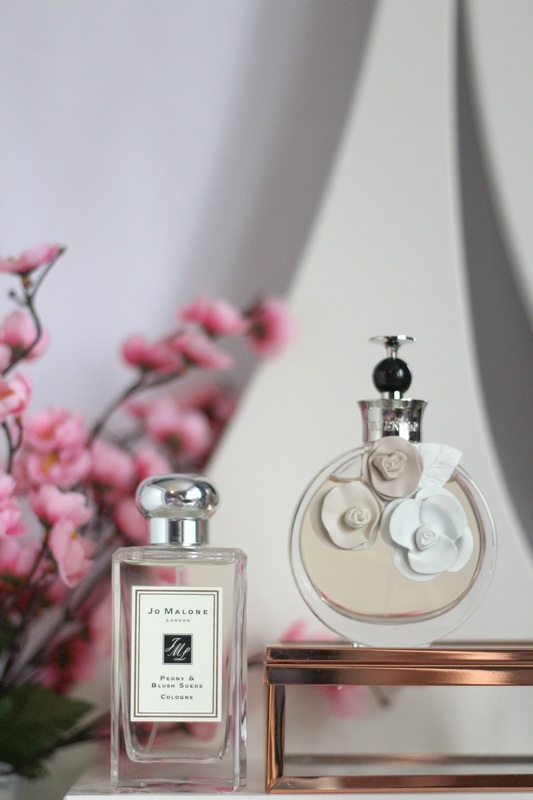 For Christmas I was lucky enough to receive two new perfumes which have quickly since become some of my favourites! Of course, they are both light, girly floral scents because that's just me all over but in my eyes can you really ever have enough? 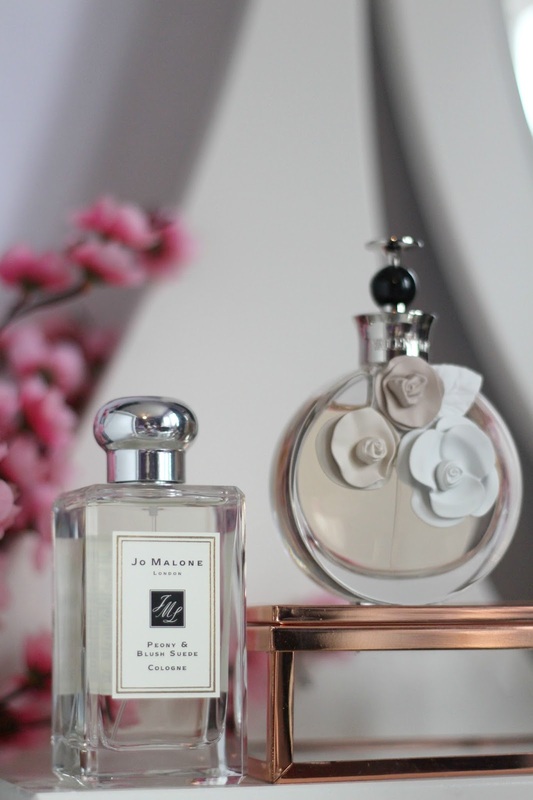 Jo Malone Peony and Blush Suede is a beautifully light, feminine and floral fragrance. It's very understated and not at all over powering which I love about it. 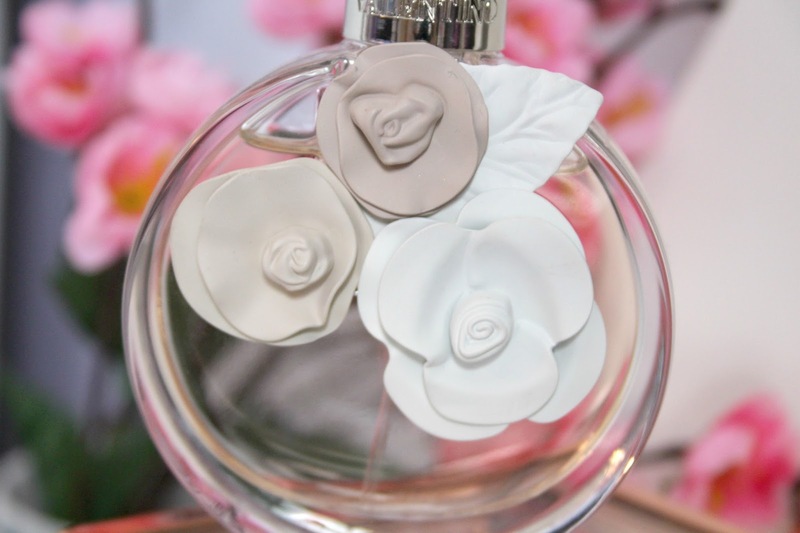 This also means that it's perfect to layer with other fragrances to make your own unique scent. 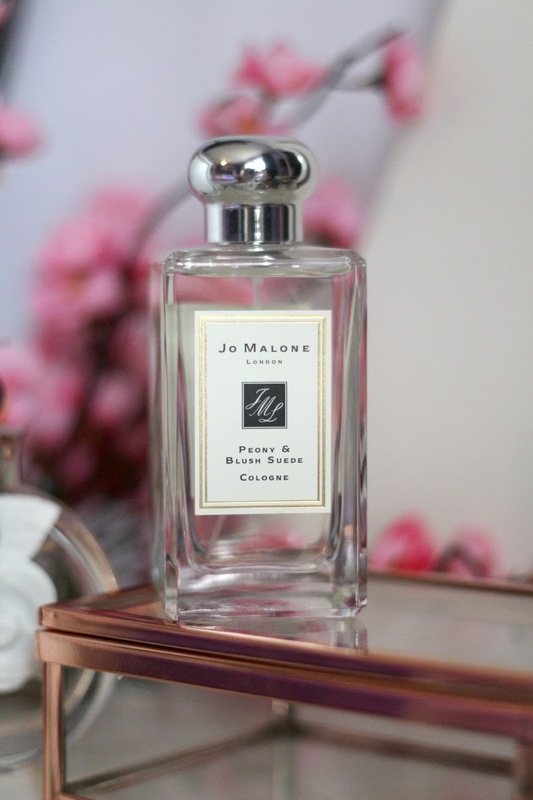 Jo Malone is a luxury perfume brand that I've been lusting over for the longest time so I'm so happy to have this in my collection. 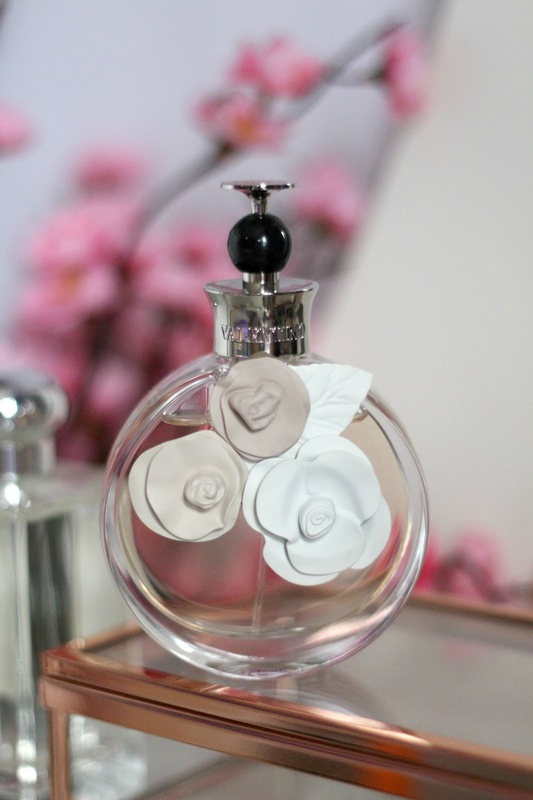 The bottle is so sophisticated and classic looking and not to mention the packaging this came in was absolutely stunning! 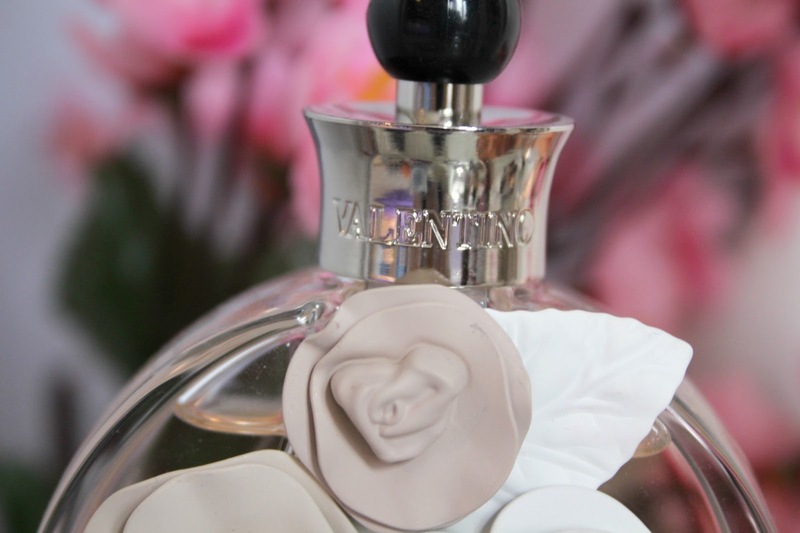 Valentino Valentina is also a gorgeous, soft, floral scent. 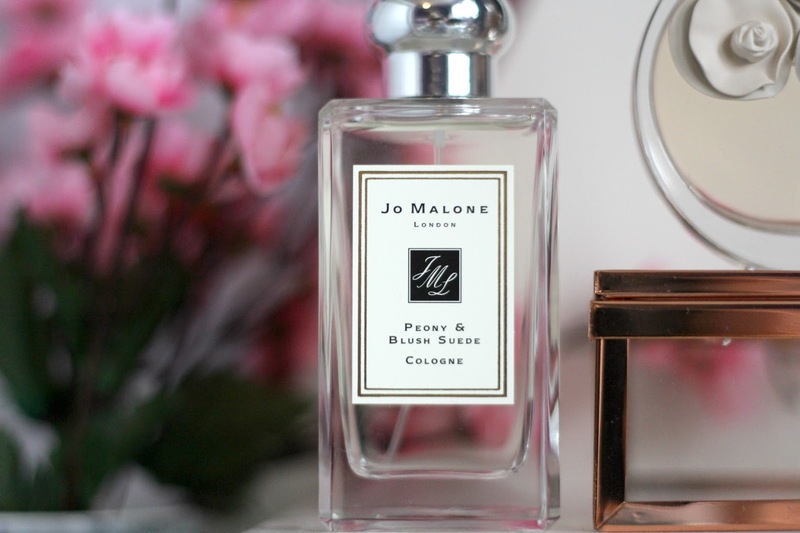 Compared to Peony and Blush Suede it is a bit deeper, which means I usually reach for this more in the evening. This last so well on the skin, one squirt lasts for the whole evening and people always compliment me when I wear it. 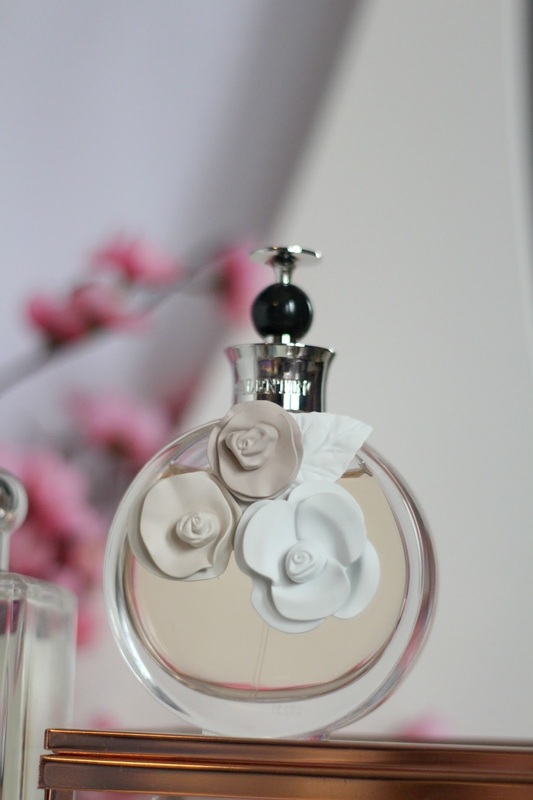 I'm in love with the design of the bottle, just looks so beautiful on my dressing table! Sorry if my perfume descriptions were too vague/repetitive.. turns out trying to put how something smells into words is actually kind of hard! 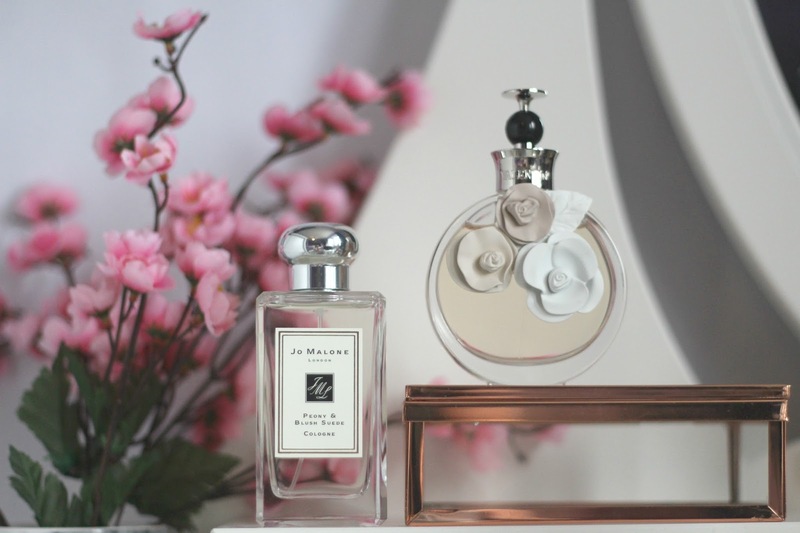 I love jo malone scents and this one sounds so lovely! I will definitely be checking this out because of your review haha!